It’s true, parenting is for the young. The daily grind of raising littles isn’t ideal for those of us who are on the other side of the hill. But Grandparenting… well, it’s just that– Grand! There’s the obvious benefits of grandparenting that allows us to love on these precious babies then hand them over to the parents for the diaper changing, late night feedings, and disciplining. Grandparents get to soak up all the fun stuff and leave the hard stuff to their own kids. 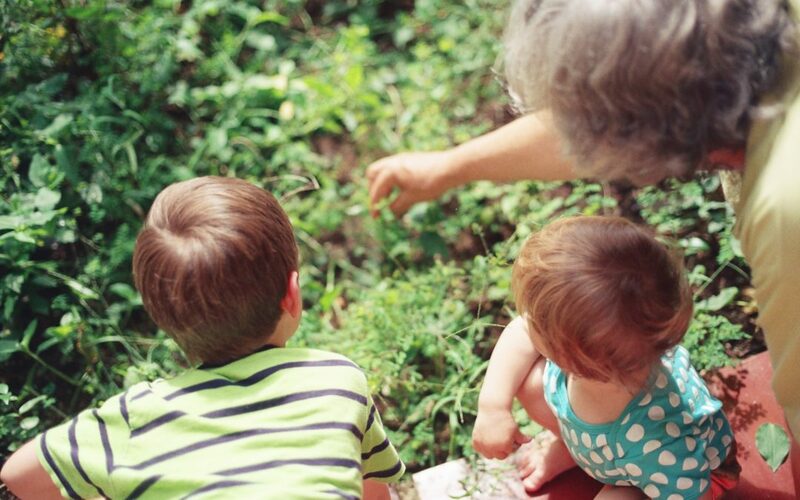 Spending time with your grandkids or great-grandkids helps to sharpen your mind. In fact, you’ll be lowering your risk of dementia and Alzheimer’s as you interact with them. An Australian study showed that grandparents who spent one day a week with their grandkids scored significantly better on memory and mental tests than those who didn’t. Of course, moderation is key! The study also revealed that too much time spent with the littles had the opposite affect. So enjoy time with your grandkids regularly but be sure to send them home! Connection with others is incredibly important at all stages of life. But there’s something special about the grandparent/grandchild relationship. One particular study found that a quality relationship between grandparent and adult grandchild significantly lowered the risk of depression in both parties. There is so much power in touch. Not only does it boost your immune system by decreasing inflammatory cells and increasing the white fighter cells, hugs and kisses are proven to lower stress and invoke feelings of peace and security. Do you know what less stress does for you? You’ll look younger longer (and feel younger, too!). Who better to snuggle up with than your little grandchild? Your toddler grandchild just has to show you something. Your preteen grandchild helps you in your garden. Your teenage grandchild has a solo at her school concert that you wouldn’t miss for the world. Your adult grandchild has your great grandchild in tow. Grandkids keep you active no matter what stage of life they’re in! Being involved in your grandchild’s life will keep you getting up and going every day. If you don’t have grandchildren, or you aren’t able to be a part of their lives for whatever reason, take heart! You can reap these incredible benefits by volunteering with children. Be a mentor at your local school or serve in the nursery at church. And there’s always the option of a cuddly puppy that will also give you those extra snuggles and keep you active! The bottom line is, being a grandparent is a gift for both the grandparent and the grandchild. Keep the grand in grandparent and go love on your grandkids today.